Two cars that featured in perhaps the most famous TV show about used car dealers are going under the hammer at an auction of classics. The Daimler Sovereign driven by Arthur Daley and the Ford Capri Mk2 driven by Terry McCann in the long-running series Minder will be auctioned by H&H Classics in April at the Imperial War Museum. You may not have famous classics on your forecourt, but if you have cars of special interest you need to make sure they are properly insured. As well as covering them via your motor trade insurance, you should have a good level of road risks insurance so they can be properly showcased in customer test drives. The Minder cars are “celebrities in their own right”, according to James McWilliam from H&H Classics. 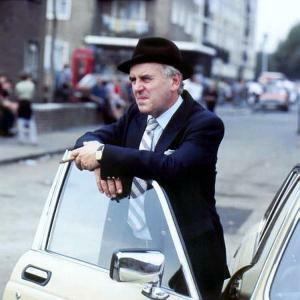 The 1981 Daimler was so loved by George Cole, who played Arthur Daley, it’s understood he wanted to buy it himself, but the vehicle was given away in a TV Times contest. It’s estimated the vehicle, which has been restored and has just 43,990 miles on the clock, will make around £35,000 to £45,000. The Capri, which Terry, played by Dennis Waterman, drove in the title sequence and during the show, is a 2-litre model that has 88,700 miles on the clock and has also been restored. H&H said that the car had come close to being scrapped but the company believes it could achieve a new world record for this vehicle at auction, with its estimated celebrity-powered value standing at £65,000 to £85,000.